Built from tough, impact resistant ABS, this guard dog keychain hits hard in defensive situations. This piece doubles as a handy key holder. The eye sockets become finger holes and the dog ears become spikes when clutched in the hand to create an excellent means of self-defense against an attacker. The injection molded finished hard-plastic charm includes a silver ring for attaching keys. This keychain attachment looks non-threatening enough, is easy to carry, and can provide peace of mind. The finger holes on this product are approximately 7/8 in. in diameter. This keychain is perfect for lady's or anyone who is looking for a small self defense tool. Looks cute and innocent. 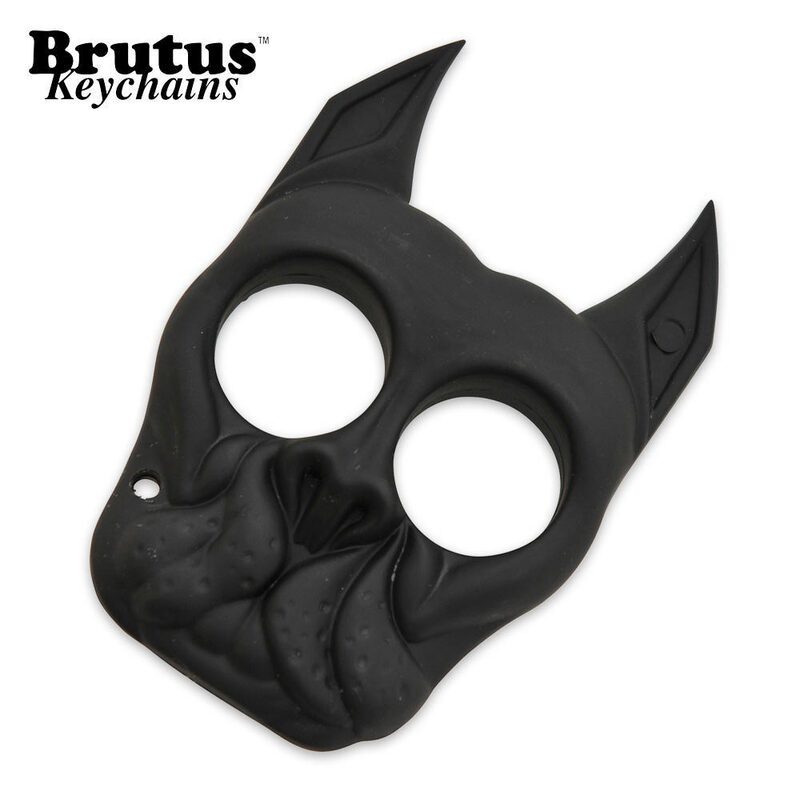 I sent this Brutus key chain to a Facebook friend living in England concerned about his safety he's also a dog lover he was very pleased with the Brutus. It is much thicker than I expected. I got it for my mom and we had a good laugh because she is a very tiny woman. That being said it is well made and would absolutely do what it's designed to do. My fingers do not fit, but I honestly think it's designed to be used against men of my size, not by them. I got this for my husband and he really liked it and now I am going to get me one in another color.